Overwatch’s newest hero, Doomfist, isn’t officially out yet, but that didn’t stop him from appearing in a recent pro exhibition match held on the game’s public test realm. Kim “Libero” Hye Sung of pro team Meta Athena charged out the gate with a barrage of punches that flattened more than half the enemy team. Sadly, he couldn’t keep the momentum going. The match began on a high note for Meta Athena, who put new Korean team Ardeont on the back foot by taking the match’s first map, Lijang Tower, in short order. Libero’s Doomfist was a big part of that. In a highlight-worthy play, he used his Meteor Strike ultimate to leave Winston and Genji—two popular pro picks and “dive” composition cornerstones—buried beneath fist-shaped craters before charging into an unsuspecting Tracer. After she went down, he proceeded to punch the other team’s Zenyatta clean off the map. Jump to 00:28:35 to see the play. It was an impressive display made all the more interesting by the fact that, as Dot Esports points out, Meta Athena’s mad scientists picked an off-meta team composition to support Doomfist. Instead of a“dive” composition—the pro comp of choice these days, focused on mobility and hyper-aggressive tactics—Meta Athena had slower heroes Reinhardt and Zarya as tanks and Ana and Lucio as supports. Meanwhile, Tracer joined Doomfist on DPS. 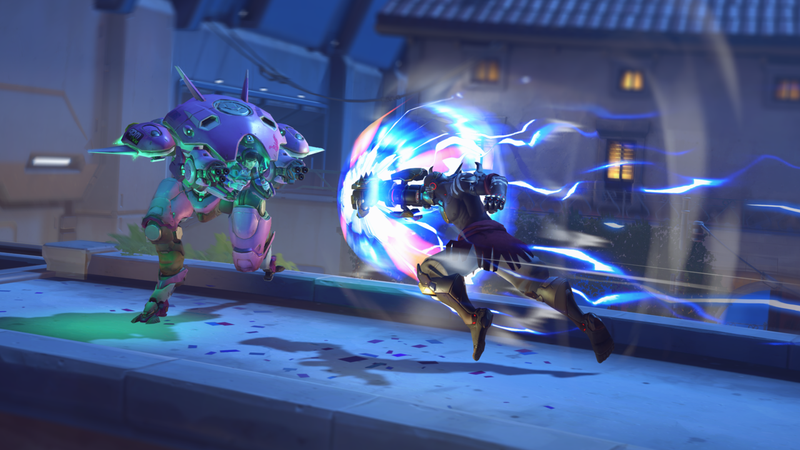 Initially, they managed to counter Ardeont’s dive comp quite nicely, suggesting that Doomfist could help shake up what many see as a stale professional meta. However, as the match wore on, the tide turned in Ardeont’s direction. Libero stuck with Doomfist for most of the match, but only managed one other big elimination streak and spent a lot of time getting picked off before he could really wreak havoc. In the end, Ardeont kept Meta Athena at bay and won the whole thing—though they had to run an off-meta composition of their own at times to do so. So maybe Doomfist will deliver a much-needed gut punch to the pro scene’s stagnant meta, or maybe he’ll get countered into an early grave. For now, though, we got a glimpse of what the future might look like, and I’m happy to report that it has lots of punches.